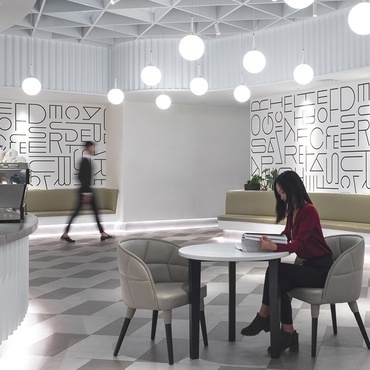 opened her namesake firm six years ago, but she has a decade of experience executing hospitality, urban planning, and exhibition-design projects throughout Canada and her native Hong Kong. 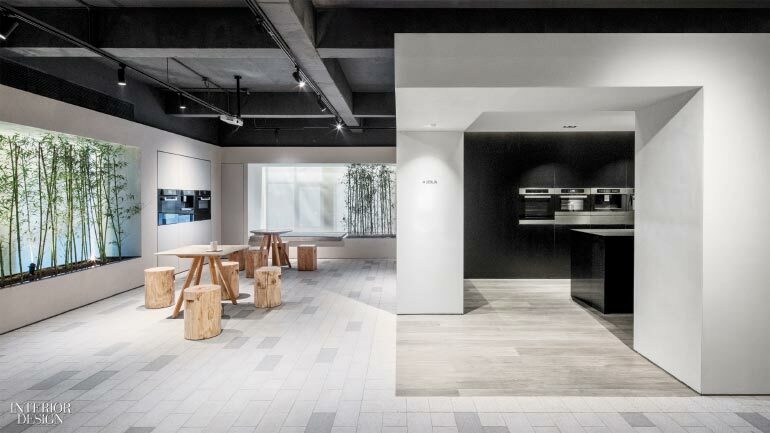 The Culinary Village, Luk’s showroom for , puts her cross-disciplinary sensibility on display alongside the manufacturer’s forward-thinking kitchen appliances. 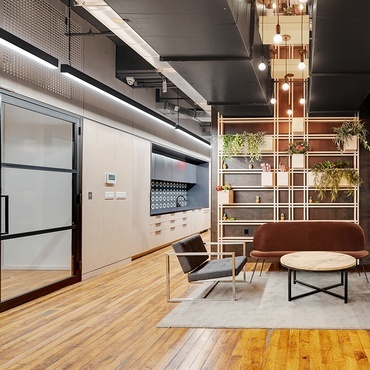 Luk transformed a 10,800-square-foot floor in the company headquarters into a compound of small structures, including four huts housing “ideal kitchens.” Each has a theme: minimalistic white, total black, rustic country, and modern American. 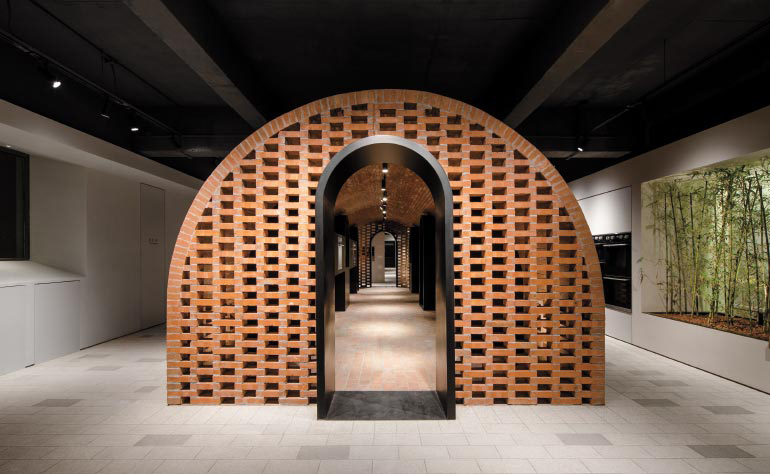 A barrel-vaulted red-brick gallery leads visitors through the evolution of oven technology while the neighboring cooking classroom allows them to whip up dishes of their own on fully functional test appliances. 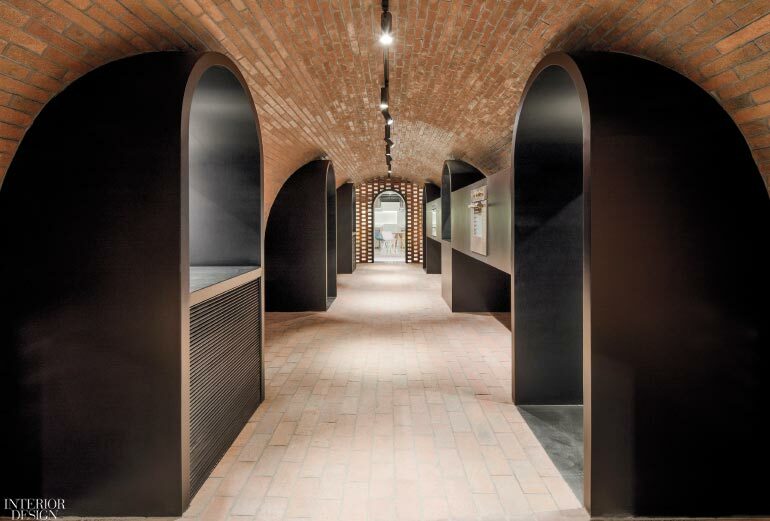 A barrel-vaulted red-brick gallery exhibits a history of oven technology. 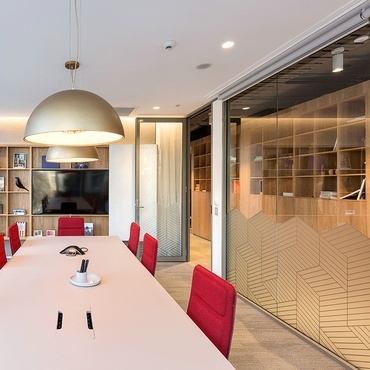 Photography by Peter Dixie/Lotan Architectural Photography. 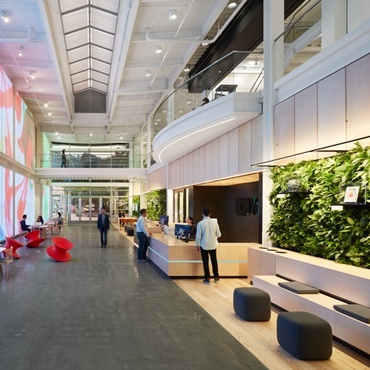 The showroom is accessed via an elegant white-box gallery with two lush green walls and a shallow reflecting pool; a path of stepping stones leads to a tunnel with a witty water feature incorporating dishwasher jets. 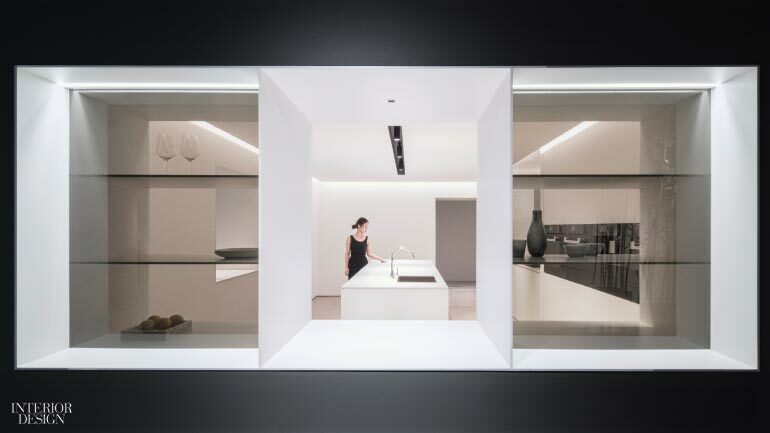 “Through organizing the series of semi-enclosed kitchens, the project brings water, daylight, and plants into close proximity and evokes memories of wandering in a village,” Luk says. And if that wandering stirs up an appetite, never fear: the VIP lounge, clad in walnut panels and travertine slabs, offers fine dining, the cuisine seasoned with herbs grown in the exterior courtyard. The red-brick oven-history gallery resembles an outdoor kiln. 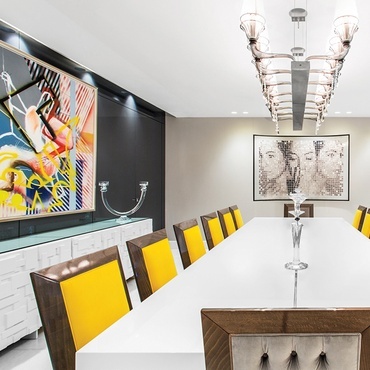 Photography by Peter Dixie/Lotan Architectural Photography. Adjacent to the cooking classroom is a café surrounded by bamboo gardens. Photography by Peter Dixie/Lotan Architectural Photography. 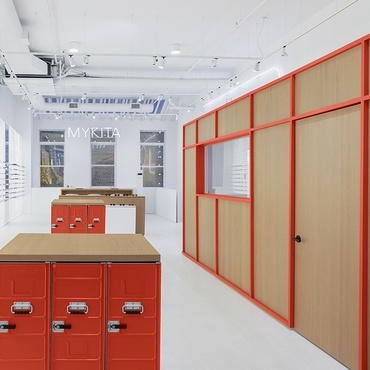 The display kitchens were designed to resemble private residences. 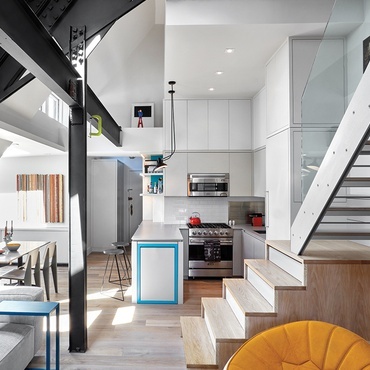 Photography by Peter Dixie/Lotan Architectural Photography. 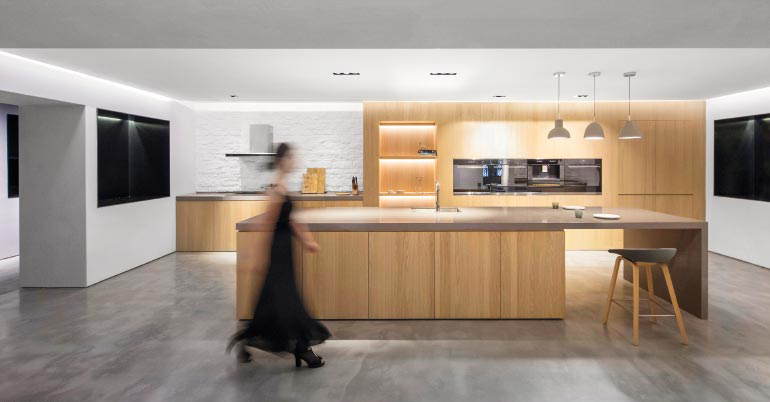 One of the kitchens is an expanse of glossy, minimalist white. 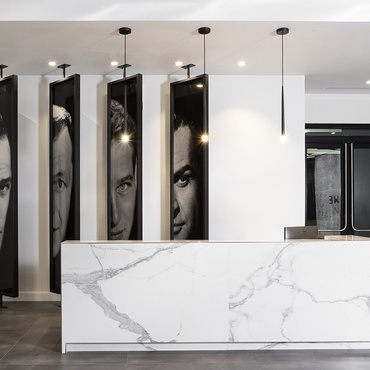 Photography by Peter Dixie/Lotan Architectural Photography. 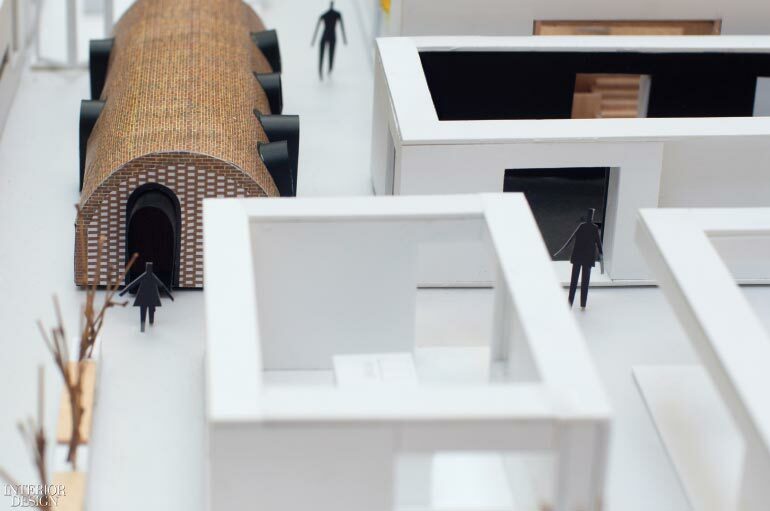 A scale model of the showroom, organized into hutlike pavilions. Photography by Peter Dixie/Lotan Architectural Photography.